Peel and wash a potato. Cut it in the form of a mushroom root. Boil the potato in salty water. Cool the potato and place the thick part of it on a plate. Put above the cut top of a tomato. 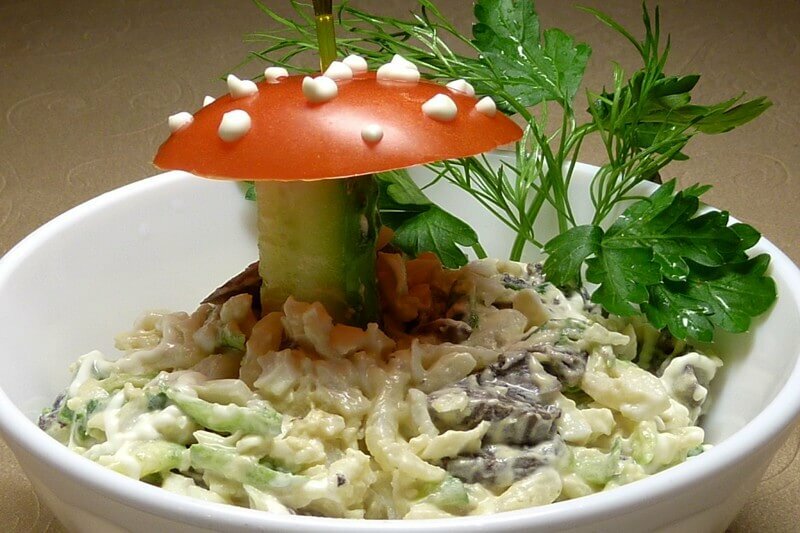 Decorate our 'mushroom' with dairy butter or mayonnaise. Boil and peel eggs. Cut the eggs and washed spring onions finely. Add salt and sour cream. Mix everything properly. 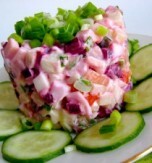 Place the salad on a serving plate, add the 'mushroom' and decorate the dish with a twig of parsley and dill.